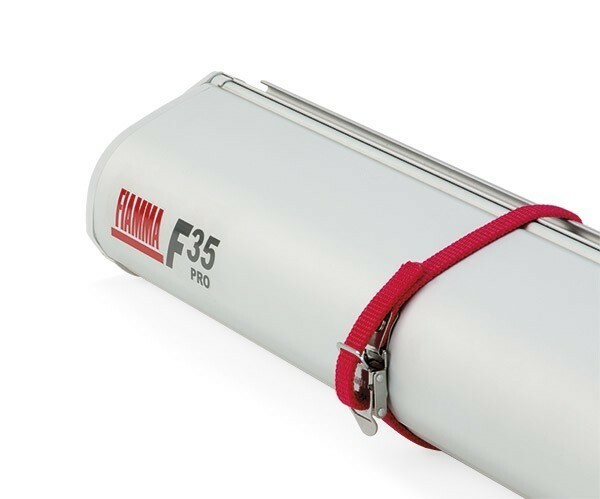 Fabric security strap for Fiamma F35 Pro awning to ensure the awning case remains safely closed when travelling over rough ground. Security fixing lug fits to the channel on the back of the F35 awning case so the strip doesn't come off and get lost when the awning is open. 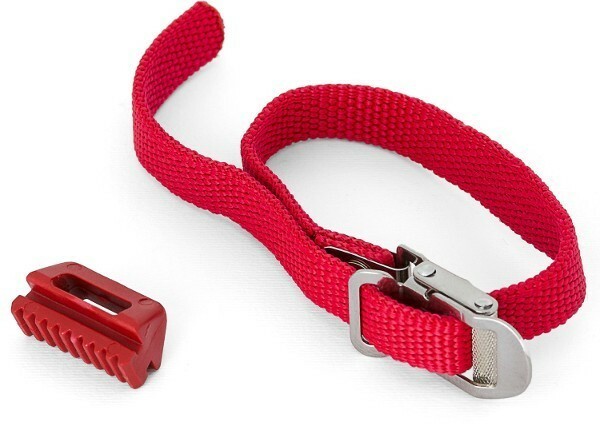 39cm long fabric strap includes pull tight buckle for quick and easy fitting to grant perfect and safe closure of the awning box.